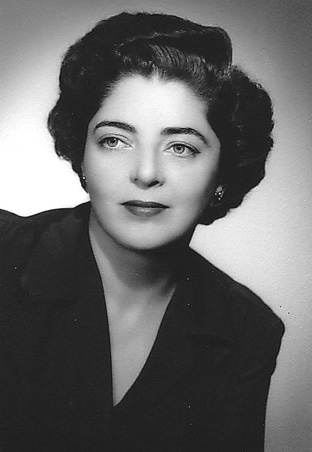 My Mother at Age 40. Stunning, wasn't she? My mother has been dead for more than a decade now, but as is the case with parents many times, her influence continues. We weren't best friends, but without a doubt I loved her and still do. Just thinking about her last few years when she suffered from Alzheimer's brings tears to my eyes. Without doubt, it was the most painful time in my life. I bring this out today because tomorrow, the 8th, would have been Mom's 100th birthday. It's odd, I rarely wish for such things, but I would give a lot for just one more hug from her. 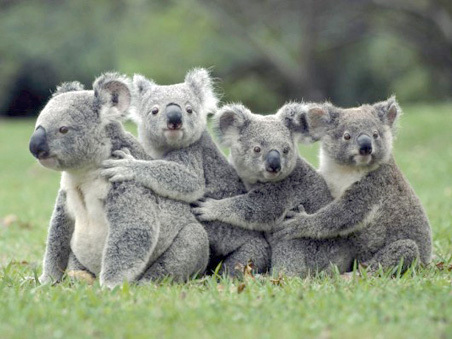 Koala Family Hug - too cute! So, if you have your loved ones near you this weekend, hug them and let them know how much they mean to you. I've been extremely fortunate in my life. I've had amazing parents who trained me and broadened my horizons to include not only daily living skills, but also the finer things - music, art and craft. I've had a husband who supports me even though there are times when we would like to be on opposite ends of the world from each other. And I've had a life of relative comfort, unmarred by the dangers of war and personal dangers. While celebrating over this holiday weekend, please count your personal blessings and reach out to others. It will enrich your life. Current Location: Shower, breakfast, computer. All good. (g) I call her every two days and see her often. Your post just reminded me of her.